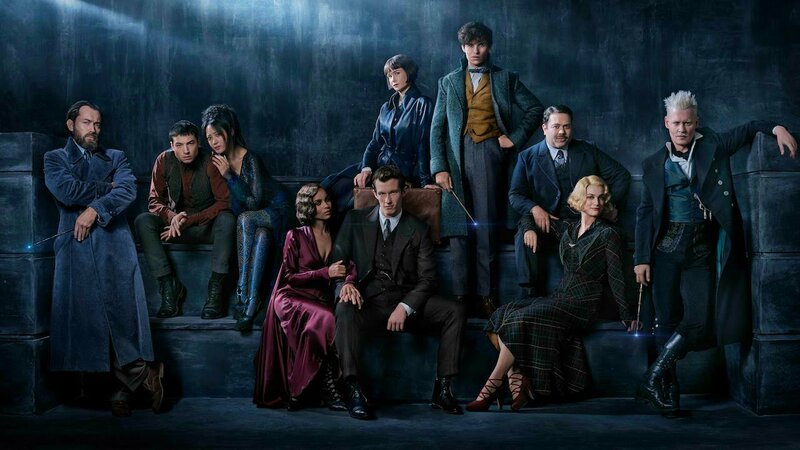 Warner has released the first official photo for the sequel to Fantastic Beasts and Where to Find Them entitled Fantastic Beasts: The Crimes of Grindelwald. But the cooler thing here is who is in the cast and its none other than Jude Law who joins the movie’s cast as a young Albus Dumbledore. In the first movie, Dumbledore was only referenced but never shown. That’s because Newt Scamander (played by Eddie Redmayne) was one of Dumbledore’s top students in Hogwarts. Obviously Fantastic Beasts: The Crimes of Grindelwald will focus on Johnny Depp’s character Gelert Grindelwald. Not a lot of details yet but we do know that this will be set years after Scamander’s adventure in the United States. Fantastic Beasts: The Crimes of Grindelwald will be directed by David Yates based on the screenplay by J. K. Rowling and produced by Rowling, David Heyman and Daniel Kloves.